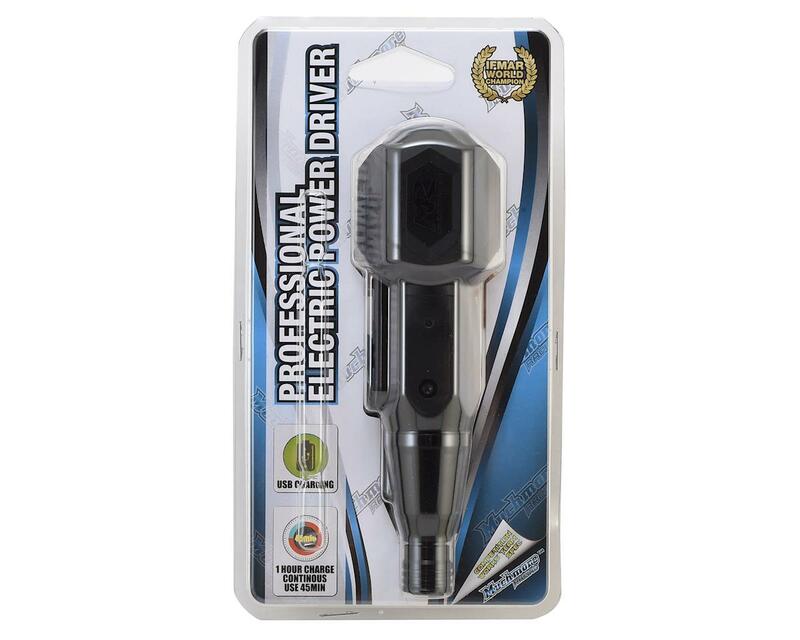 The Muchmore Professional Electric Power Driver is the perfect solution for any RC enthusiast that wants a power driver, without the hassles of hauling around a large power drill. Measuring in at 5.5" long, and 1.5" in diameter at the widest part of the handle, this driver will fit into almost any tool box and will not take up much space on your work bench. It features a supple, non slip rubber grip that helps reduce fatigue during long wrench sessions, combined with a LED light that will illuminate the hard to see areas inside your model. The 1/4" drive quick release chuck will accept any 1/4" drive tip, and prevents the tip from pulling out of the driver when you try to pull the tool out of the fastener. 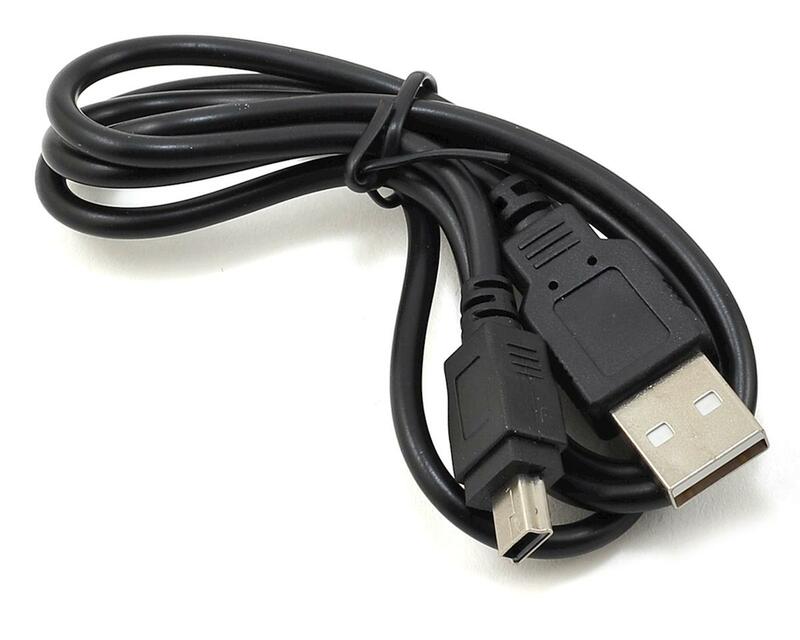 Plus, it has a built in USB rechargeable Li-Ion battery that will deliver up to 40 minutes of constant run time. This should provide enough run time to keep you wrenching for an hours without needing to recharge. A little update on this for anyone that is interested in the driver. First of note is the battery life. They estimate 50 minutes of consistent use and so far I have used it for a few wrench sessions already as well as a major one yesterday where I was swapping chassis on my eb210 and apparently it had used very little charge because when I plugged it in to charge up again, it was full in a little over five minutes when the estimated charge time from dead is roughly 60 minutes. So for being so small this thing really packs a punch as far as power goes. Next thing I liked was that the motor locks when not in use so you can go straight to hand driving after using the electric motor to drive it in 90% of the way. This makes a big difference if you've got arthritis other joint pain. Especially with how comfortably the grip is. A nice soft rubber texture soft edges. The buttons could be raised a little more for easier use but I suppose this prevents it from starting accidentally in a tool box. One more thing I really liked is what it does when you release the button to stop driving, it backs itself off by a 1/8 turn or so which is useful if you drive too deep into plastic since some drivers will keep going with their momentum. This is the coolest power driver I have used. 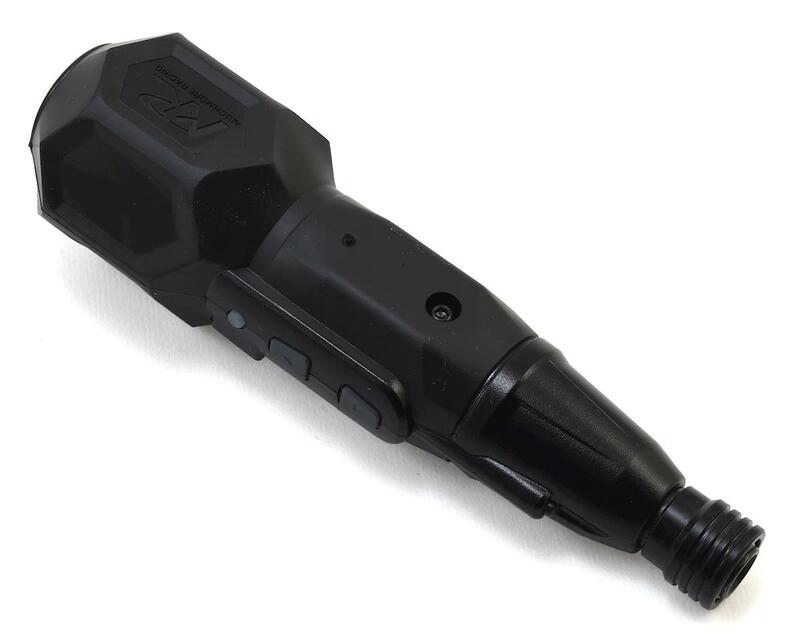 Unlike a large drill intended for construction, this small hand held drill is lightweight, easy to use and ideal for RC applications. The light is handy and really helps to light up the area you're installing/removing the screw. The 1/4 drive quick connect chuck holds my ProTek 1/4 bits securely and they work perfectly together. Plus, the shape of the grip and the material is extremely comfortable. The battery life seems to be equally outstanding as I have used it on 3 separate occasions for some pretty intense wrenching, and I still have not had to re-charge it. The other thing I like is the low torque power output and the lack of a clutch. The drill simply screws the fastener in as far as the 2 newton meters of power will allow, and then it stops on its own - which always seems to be a turn or two away from being tight. Then I use the drill like a hex driver and just screw it in by hand till its tight. Havent stripped a single screw yet! I love this tool!